New results require new ideas. That’s why we took a somewhat unconventional approach when it came time to design our k-swap cold air intake. 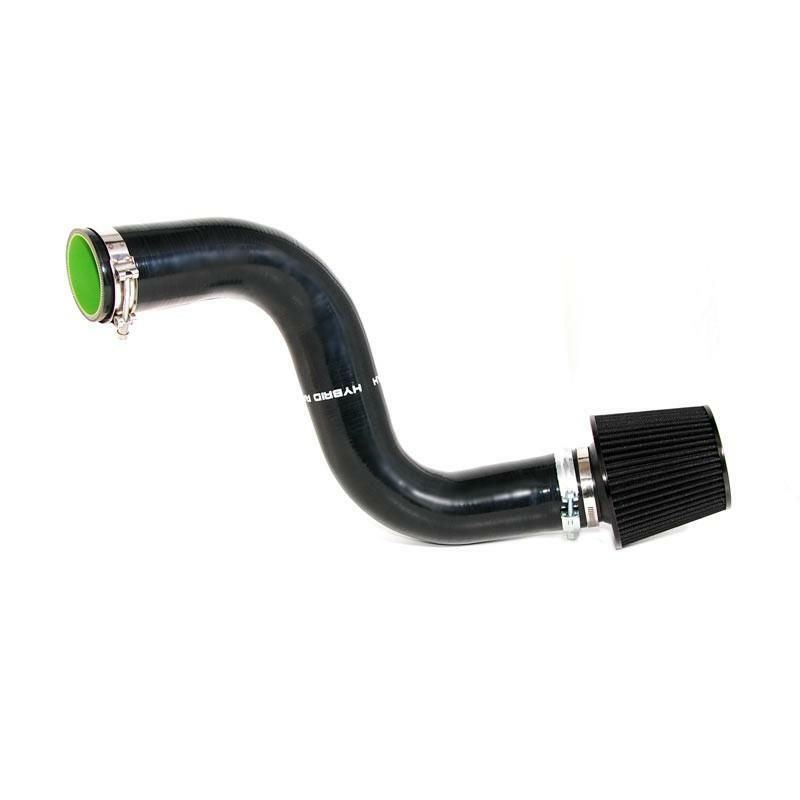 Our hope was to provide something that could improve upon the performance and appearance of competing cold air intakes…and the finished product is just that. What we ended up with was a true 3” intake that does a better job of keeping your intake charge cool and your engine bay looking hot. The most obvious feature on this intake is the 100% glass-reinforced silicone construction. By using silicone, we were able to create an intake that actually insulates the air going into the engine. For k-swaps, this is particularly important since most setups put the cold air intake directly behind the radiator. What many people don’t consider is that since aluminum is such a fantastic thermal conductor (hence why it is used in radiators), an aluminum cold air intake will actually absorb heat given off by the radiator. This increases the intake air temperature while decreasing the motor’s performance. The silicone counteracts this by acting as a thermal barrier (much like header wrap)...this leads to lower intake air temps and a denser intake charge. Another benefit of the silicone construction is that there is no need for a coupler at the throttle body. The intake connects to the throttle body with just a single t-bolt clamp, meaning less turbulence as air enters the intake manifold. A less noticeable but very important feature of this intake is that it works with RBC, RRC, and PRB intake manfiolds. Most competing k-swap intakes work with either the PRB intake manifold or the RBC/RRC intake manifolds, but not both. We took the extra time to create an intake that would work with all 3! We know that many k-swaps start out with a PRB manifold and are later upgraded to take advantage of the more desirable RBC and RRC manifolds. We wanted to take the cost of a new cold air intake out of that equation, meaning more money in your pockets. On top of that, we designed this kit to work with OEM k-series throttle bodies AND big bore throttle bodies. The included t-bolt clamp is custom designed to fit both applications. And who can forget about looks…Everyone knows that with k-swaps, making power and going fast is the name of the game, but looking good while you do it doesn’t hurt either. That’s why we made this one of the cleanest looking intakes on the market. When installed, only the intake tube and a single t-bolt clamp are visible. The hanger that attaches to the chassis is neatly tucked into the driver’s side fender for the cleanest install possible. Available colors include black, gray, and purple.